I will list two ways of doing this, one is very simple the other takes 30 seconds to do. 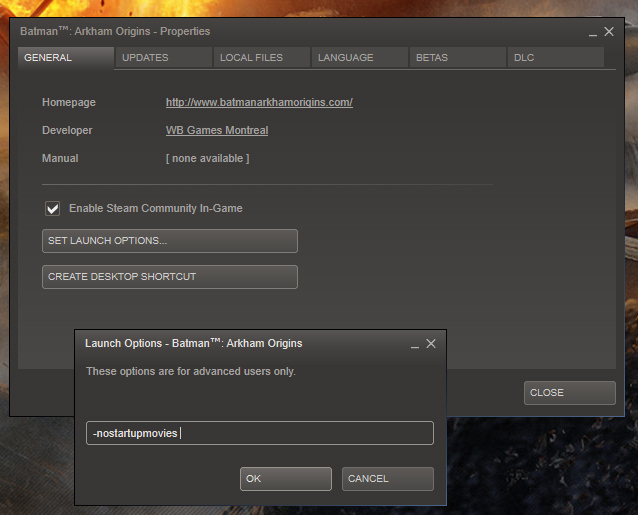 In your Steam game library view, find Batman Origins and Right click on it, hit the properties option. Now you should be in the General tab, and there is a “set launch options” button, click that and add this string. Click OK, and your done. That’s it. Second way of doing this, it a bit more involved then the first. But its how i usually do it. 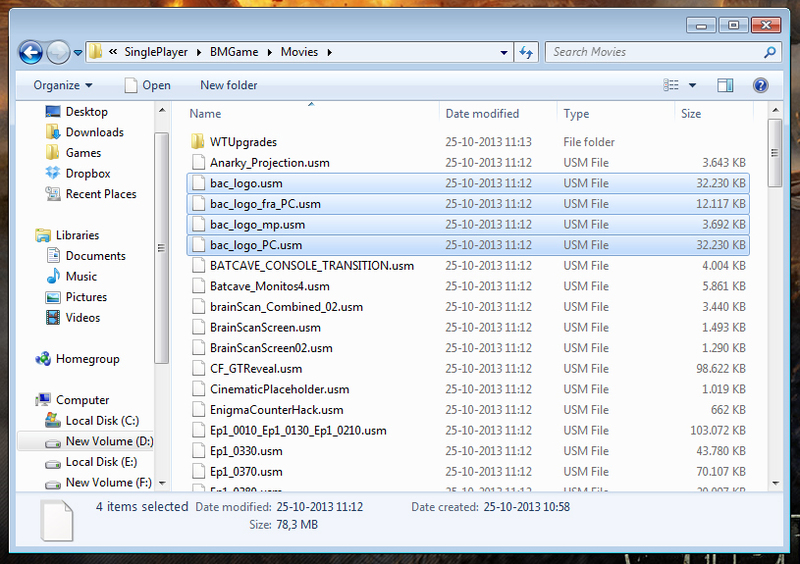 Go to your Batman Arkham Origins folder, and navigate to the following sub folder. I have highlighted the files that needs to be changed or deleted. Now i just rename them by adding a .bak on the end of the file name, that way i know its a file that i have changed. No more intros wasting your time, or blowing your ears out.